Tux, now in 2 sizes small 4" & large 5". To dogs, Tux is the magic oracle of treats. Peanut butter, biscuits, and meaty bits mysteriously appear within it, begging to be gnawed free. But even emptied, the fun isn’t over—Tux floats, flings, bounces, goes in the dishwasher and survives serious chew sessions. 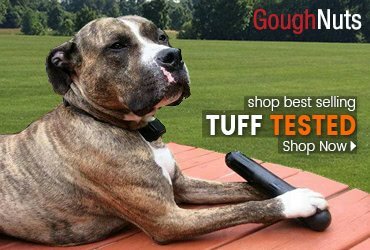 We consider it our toughest dog toy. Rated 10 out of 10! 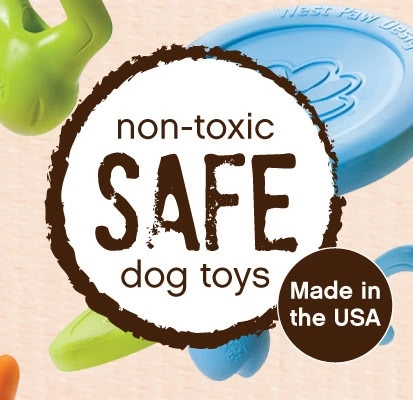 Like all Zogoflex dog toys, Tux is recyclable, Made in the USA, Certified Safe and Guaranteed to Last. Tux is super durable. 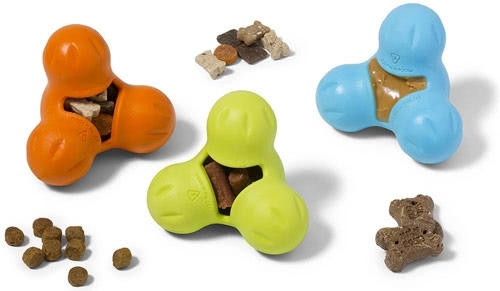 Dogs will love getting to chew this toy, especially when stuffed with dog treats. 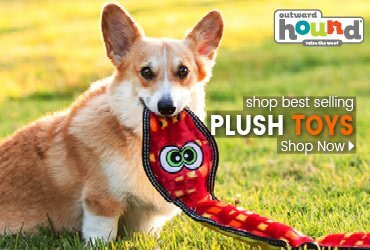 You'll love that when the chew session is over, this dog toy is still in one piece and after a quick run through the dishwasher - it's good as new! 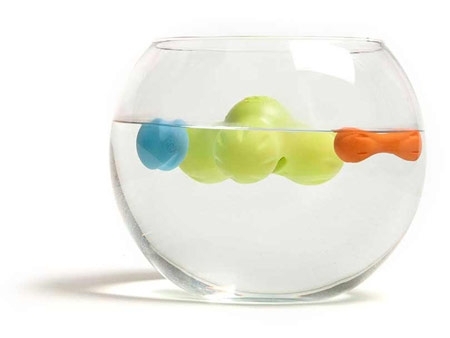 Zogoflex® packs a long lifespan. If for any reason it does not, we offer a free one-time replacement under our Guarantee program. 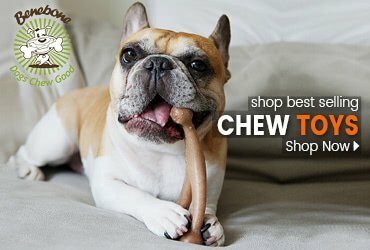 Ranking = 10 out of 10; Perfect strength for tough chewers. 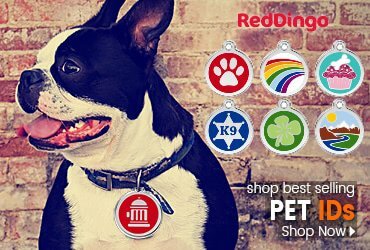 These extremely durable dog toys were designed to satisfy serious chewers. Small 4" - Large 5"